Steven Woolfe is to quit Eurosceptic party UKIP after a row with a colleague in Strasbourg left him in hospital for three nights. Woolfe, who had wanted to be in the running to be the next UKIP leader, told the BBC the party was in a ‘death spiral’. He was left in hospital after a row with a colleague about whether he had had discussions about joining The Conservatives. 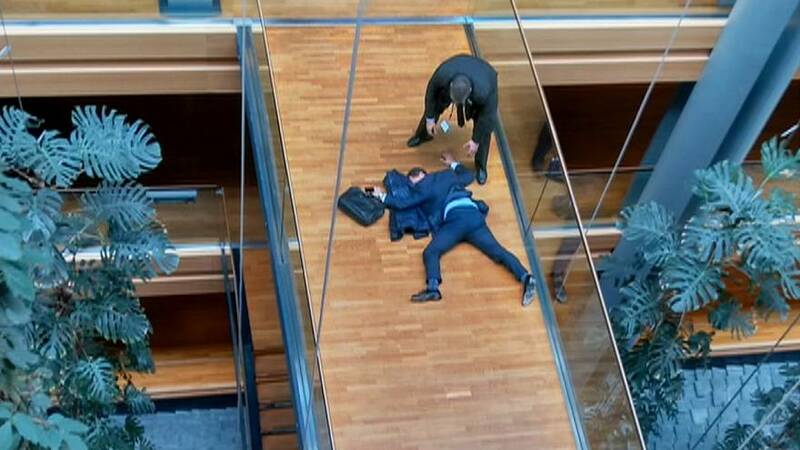 Fellow MEP Mike Hookem denied punching Woolfe, but said there had been a scuffle.